Animal prints show no sign of going into hibernation. In fact, I just ordered a two-piece leopard swimsuit. If you haven’t joined the fashion pack, this midi dress might just be the ticket. Talk about “the dress” to dress up or down, or wear from season to season, this is it! And at a brilliantly affordable price too. 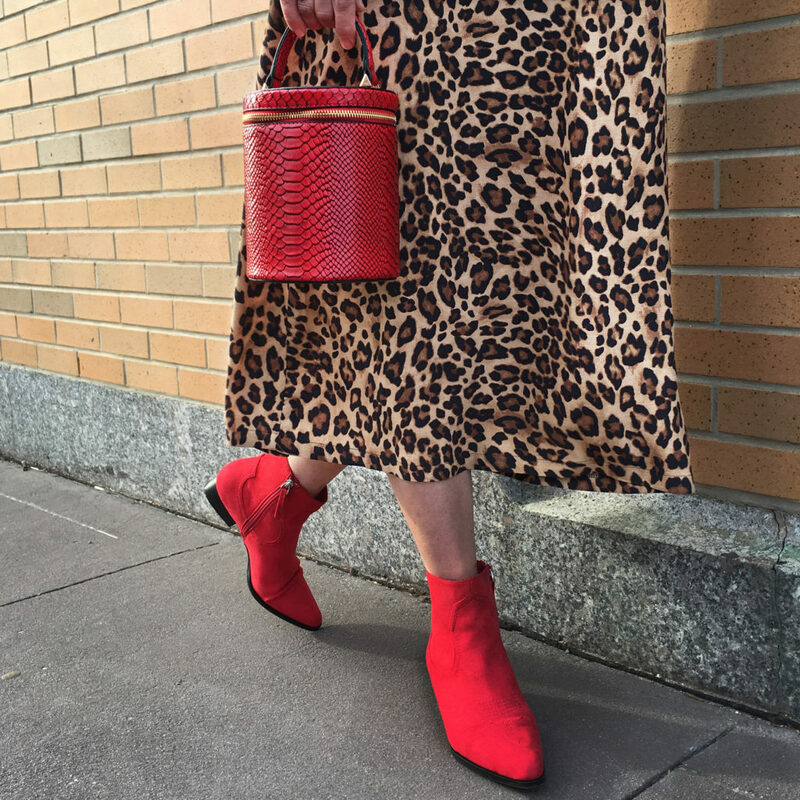 The weather here is still veering from 40s to 60s, so red booties seemed like a fun, colorful way to transition from winter into spring. And they’ll be great come next fall. I love their subtle western vibe too. 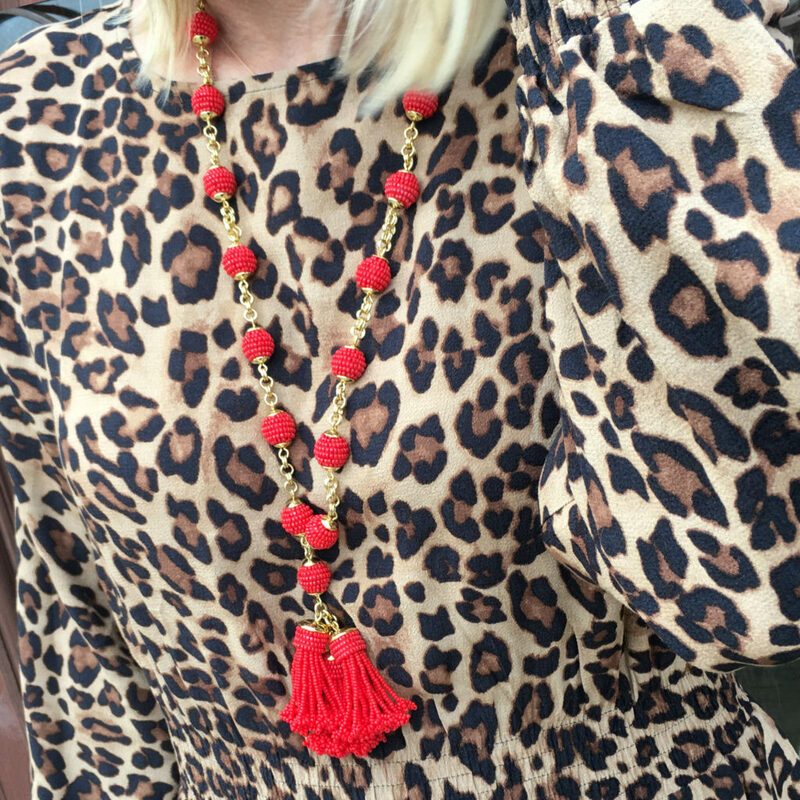 Since this dress is such a statement piece, I kept the rest of my accessories simple but red haute. 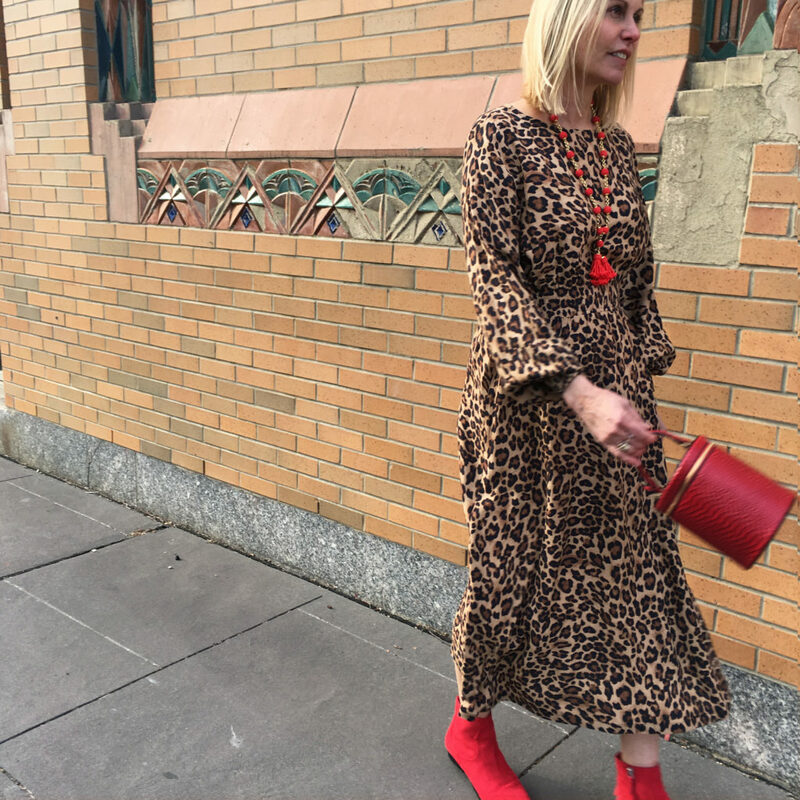 Love love love this faux snake top-handle bag (comes with a crossbody chain), and this bold tassel necklace sealed the deal. Dress: (H&M) Also like this (with a white or black tee underneath) and this (super luxe). Bag: (old) Similar here (yellow!) and here. 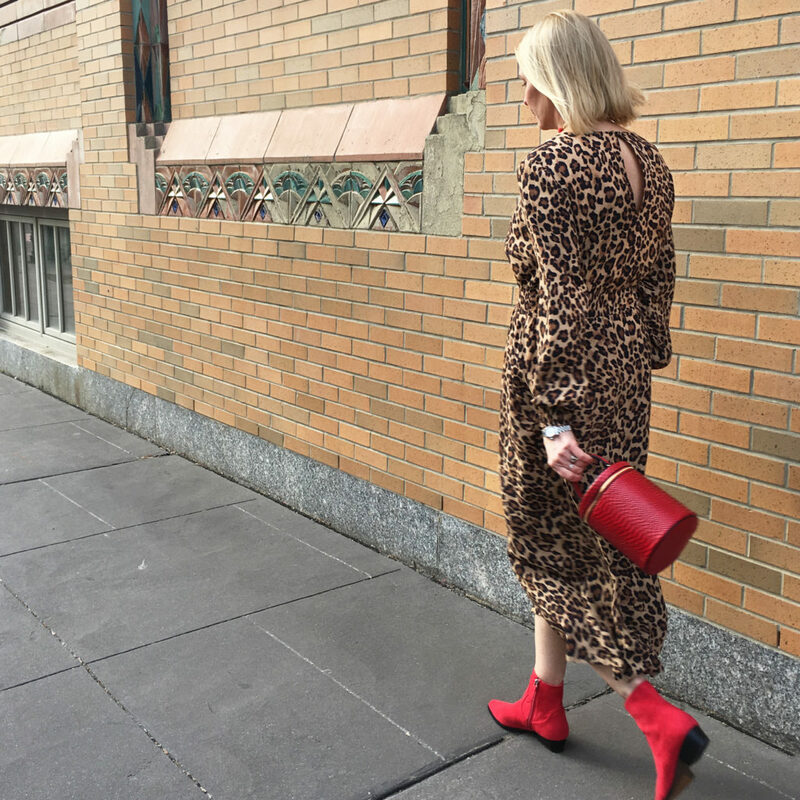 Boots: (Who What Wear x Target, deal!) Loving these sandals and these shoes. Necklace: (J. Crew, old) Similar here and here. Sonrisa! The leopard with red highlights is very striking and brightens up the browns/tans in the print. And you’re so right – this is a dress that can be dressed up or down. Makes me smile too! Thanks, Kathy. 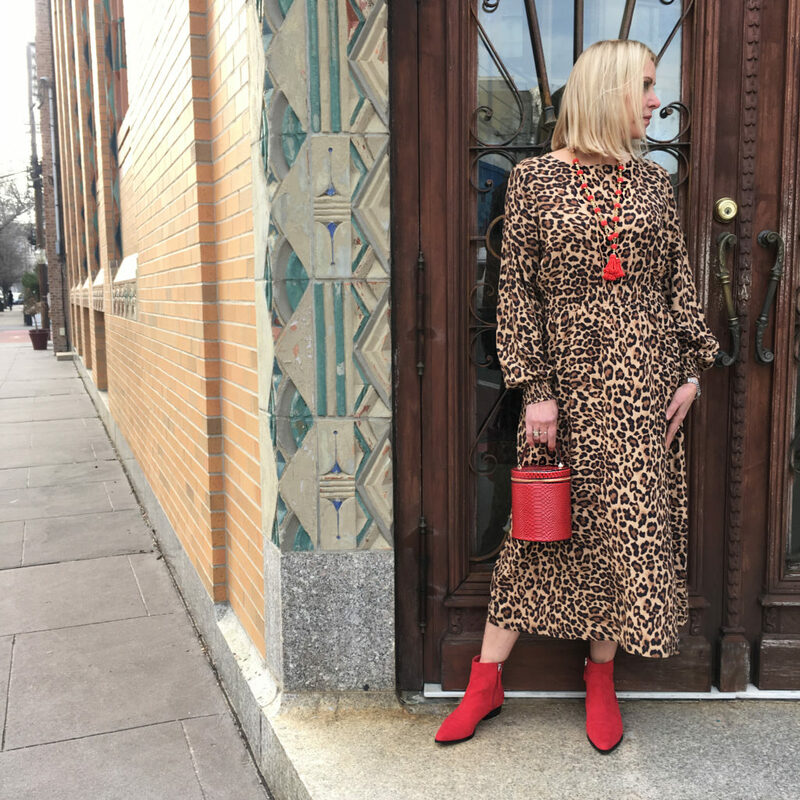 I don’t normally opt for red as an accent, but for this look it was spot on! Red haute! And the smile too. Couldn’t pull off these posts without ya! Or that smile!! 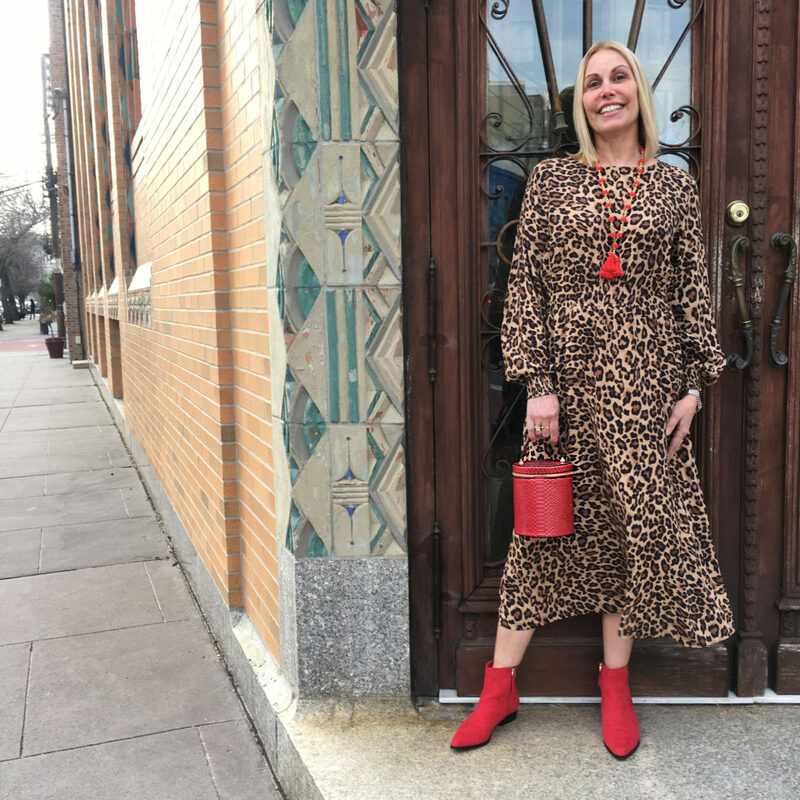 Love your leopard dress and I do like seeing you smile! !